In the evening of September 13, Dubafresh, Frutival and ProMexico organized a dinner event in Shanghai promoting Mexican avocados with the theme “Redefining the beauty in avocados.” More than 100 people attended the event, including representatives from Yiguo, Yidu, Kingo, Turan, Fullbloom, Goodfarmer, Shanghai Grandfruit, Xiamen Trading, and other major players in China’s fresh fruit market. 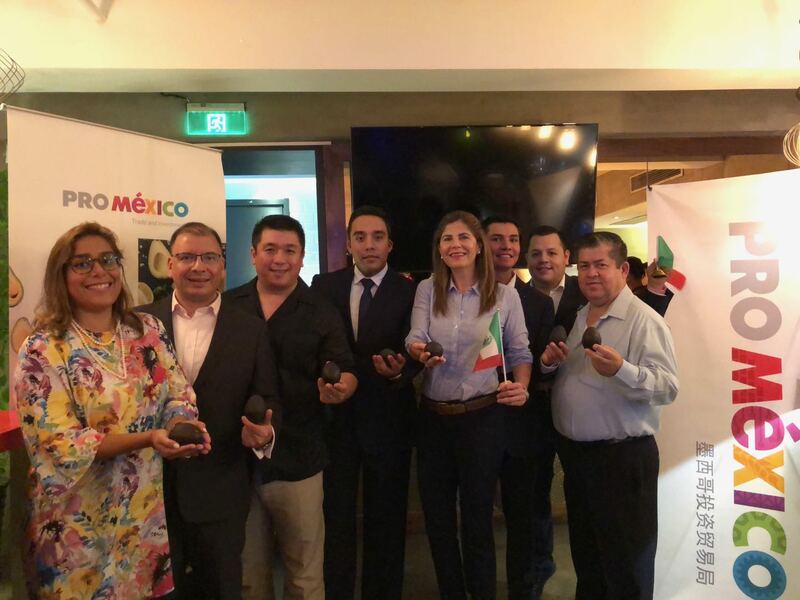 Alejandro Salas, Trade Commissioner of ProMexico in Shanghai, provided one of the major takeaways from the event in his opening remarks: “Mexican avocados are already leaders in markets across the world like North America, Europe, and Japan, but we want more – we want China. As the flagships of the Mexican avocado industry, Dubafresh and Frutival are key in continuing to deliver to China the delicious, high quality Mexican avocados that the market deserves.” Produce Report managed to track down Adrian Vásquez, Export Sales Manager at Dubafresh, and Robert Huang, Sales Manager at Frutival, who shared their insights into Mexico’s avocado export market and why China is emerging as a key market for Mexican exporters. In November 2017, California-based trading company The Fresh Connection and Dubacano, Mexico’s third largest fruit importer, came together to create the new joint venture Dubafresh. For the 2017-2018 season, Dubafresh entered into an agreement with Frutival, one of Mexico’s top avocado growers and one of the top ten largest avocado packhouses in the world, to invest in the China market, which saw Dubafresh take over most of Frutival avocado exports to China. In addition to consumer education, both Mr. Vásquez and Mr. Huang underlined their companies’ commitment to ensuring and improving product quality during all stages of distribution. To this end, Dubafresh entered into cooperation with It’s Fresh!™ to undergo product trials of their ethylene filters, which extends the freshness and quality of fresh produce. This will helps their avocado exports to mature at a slower rate during transit from packing house to retailer, thereby preserving the brighter green colour favoured by Chinese consumers and affording Chinese importers with a product which has a longer shelf life and will be more profitable. Mr. Vasquez admitted that exporting to the United States was still very easy compared to China, as the market is much closer, easier to ship to, prices are generally higher, and the consumers are not as picky and accept blemished, larger avocados. However, he also noted that the high level of competition from other Mexican exporters and other countries such as Chile, Peru, and soon-to-be Colombia, in addition to the unpredictable political situation in the United Stated vis-à-vis Mexico and the threat of tariffs have made a policy of export diversification of central importance to Dubafresh as well as Frutival.